Having worked in market research and advertising for many years, Ted Weller and Amanda Johnston set up Sagitta Market Research Ltd in 1999, with the vision of providing high quality ‘field and tab’ to research agencies and corporate companies (end clients) across the UK and Europe. 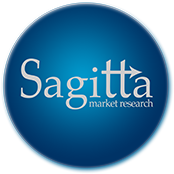 As their reputation grew and their team expanded, so did their service offering and Sagitta Market Research Ltd now provides full service market research to companies worldwide. Based outside, yet still close to London, the two Directors and their carefully selected team of experienced researchers, provide high quality market research services at a competitive price. “We are pragmatic in ensuring that our clients’ surveys are conducted with the best approach and to the highest quality standards, to ensure exceptional results.” emphasises Amanda. “Sagitta Market Research Ltd conducts mainly, although not exclusively, quantitative face-to-face consumer research across the UK in fact.” adds Ted. “Our interviewer teams are distributed throughout the UK to give national coverage for our consumer surveys. We can conduct fieldwork anywhere in the UK, with our strategically based supervisors and their recruiter and interviewer teams.” Ted adds. “Our thorough in-house quality control ensures excellent, reliable results. We are members of the Market Research Society and abide by the organisation’s professional code of conduct at all stages of the research project, from data collection through to data processing and data storage. Quality is something we simply will not compromise, ever.” emphasises Amanda. If you would like to speak to one of the Sagitta team about your research needs, please email office@sagittamr.com or phone +44 (0)1303 262259.